The Student Activity Packet for K4 Foundations gives over 100 activity sheets that provide involvement and experience for the child. Softcover, 143 pages. 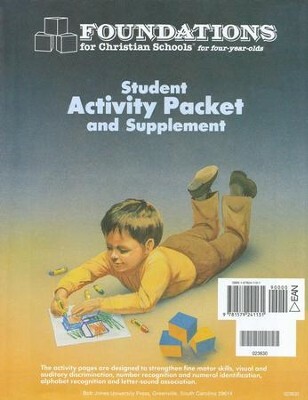 I'm the author/artist and I want to review BJU K4 Foundations Student Activity Packet.